Llanelli photographic society provided a warm welcome and a very enjoyable afternoon for their 125th Anniversary Sosban Trophy. 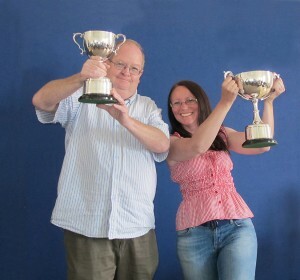 Congratulations to Tenby camera club who were well-deserved winners closely followed by Bridgend and Llanelli. Gwynfa finished a creditable Joint forth with Pyle & Porthcawl. Note, Lynda Beynon had the top WPF score in the Nature section and Gwynfryn Jones & Leigh Woolford had the two top WPF scores in the monochrome print section. A full list of WPF scores can be seen here. The overall results can be seen here. This is an extremely good result for the club as this is one of the toughest exhibitions for which to be accepted. The exhibition will be in Arts Central Barry in October and we will let you have more details as soon as we have them. 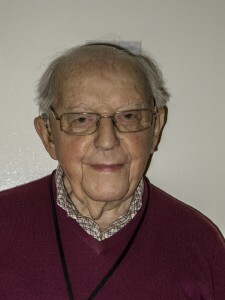 Alan Thomas has informed us that Phil Forbes passed away at Royal Glamorgan Hospital on Friday 3rd June. He had been receiving treatment there for the last couple of weeks. Alan sent a card round at club last week for members to send their good wishes. Sadly Phil did not receive it in time but his wife Beth was able to get some comfort from the members’ thoughts and obvious esteem in which he was held. Philip Forbes’ funeral will at St. David’s church in Miskin, Pontyclun on Monday 20th June at 12:30 and at Coychurch Crematorium at 1.45 pm. A special thank you to Barry CC for all their hard work in making this competition such a great success. The judge was Michael Krier ARPS, MA who was concise, articulate and consistent throughout the afternoon. I was very pleased to hear that he will be judging at Gwynfa sometime in 2017. Kingfisher, Threat Posture – Alec Stewart. Total Commitment – Adrian Lant. Charlotte the Harlot – Chris Tidman. Ice Trio – Leigh Woolford. A total of 26 clubs from South Wales and the South West of England took part with 130 excellent prints being shown. Gareth Martin of Bridgend CC won the Dave Chowdry trophy for the best Landscape/Seascape with his print “Middle of the Road”. Thanks to all the Gwynfa members who turned up to support their club. Lee Filters have announced a ‘Stopper App’ which is available for Apple and Android devices. The Stopper App has been designed to help photographers get the most from their Big, Little and Super Stopper filters, it accurately calculates the precise exposure needed and includes a timer for very long shutter speeds. The Stopper App is free and available to download from the App Store or Google Play. A video demonstrating the Stopper App is available via their You Tube Channel.